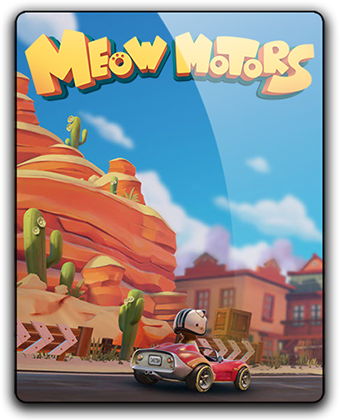 Meet the arcade Go-Kart races where the main characters are cats. 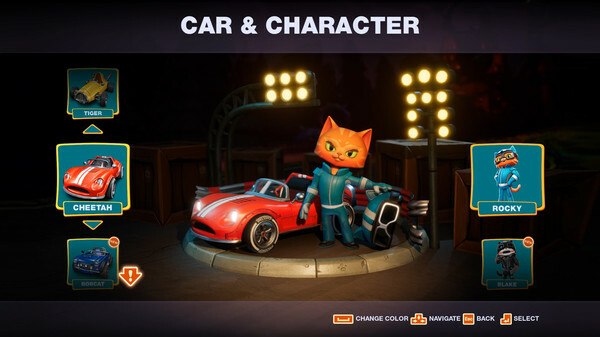 You will play for one of the unique cats that you will surely remember with your unique character and temper. You have to overcome the difficulties of the tracks, bypassing mines and bombs, stop competitors with amazing tools and collect amplifiers on the way to the finish. 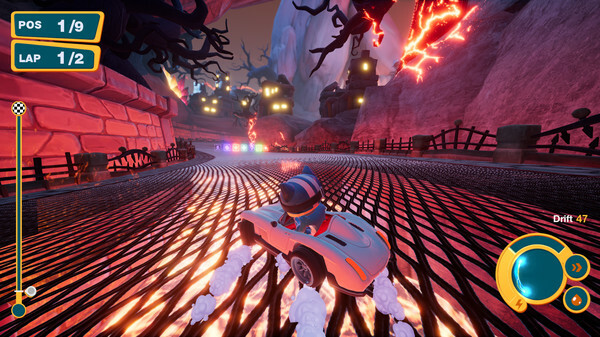 The races are presented in three modes: ring racing, drift and the "strike" mode. To win, a player must use an arsenal of amplifiers placed on the tracks, combining this with the skillful use of stored energy. 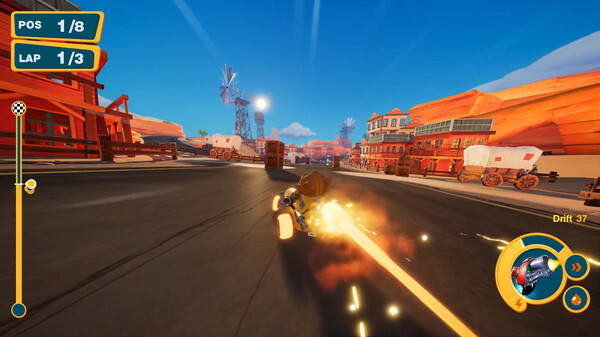 The game has a story campaign and local multiplayer in Split Screen mode up to 4 players on one device. Gather a team, beat Master Duke and find out his terrible secret! Passing the championship you will receive more and more new team members, new cars and new amplifiers. ▪ Charge the amplifiers to the full and get a more powerful effect!